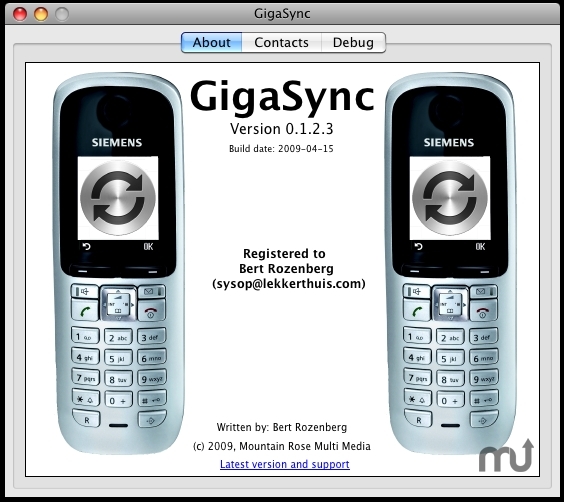 Synchronize Siemens Gigaset handset with Mac OS X. Is there a better alternative to GigaSync? Is GigaSync really the best app in Backup category? Will GigaSync work good on macOS 10.13.4? GigaSync is the missing link between your Siemens Gigaset DECT handsets and your Mac. It allows you to synchonize any contact group of your Mac address book with any of your handsets. Synchronize one contact group to all your handsets or use a separate group for each handset. GigaSync needs a rating. Be the first to rate this app and get the discussion started!